Latest additions to the line-up include Stadium Speakers by JBL, JBL Stage Subwoofer and JBL Stage 1200B Enclosure providing world-class JBL performance. 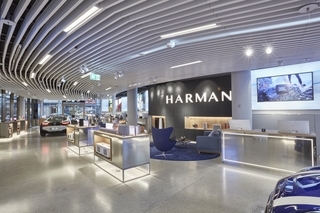 IFA 2017, BERLIN – AUGUST 31, 2017 – HARMAN International, a wholly-owned subsidiary of Samsung Electronics Co., Ltd. focused on connected technologies for automotive, consumer and enterprise markets, today announced new car audio offerings including premium Stadium Speakers by JBL and a full line-up of JBL Stage Subwoofers. 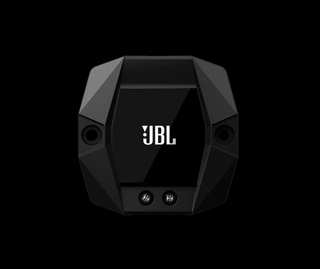 The all new Stadium Speakers by JBL are high performance, multi-element speakers and component systems which include six models to accommodate most applications and car interior environments, providing an incredibly accurate, realistic and clear sound. The new speakers’ high output two-ohm design extracts every watt from the amplifier, delivering the highest volume possible. JBL’s patented Plus OneTM glass fiber woofer cones are lighter and stiffer with up to 25 percent more active cone-area than the competition. The hi-roll rubber surrounds allow the woofer cone to move freely and emit bolder bass. In addition, the oversized 35-millimeter voice coils dissipate heat efficiently for improved reliability, enabling maximum power handling with low distortion. For competitive tuning, JBL employs second order filters and sophisticated two-way crossovers for multi-element speakers and component systems, enabling higher power handling and added accuracy when tuning speakers. A stand out feature of the two-way component system is that it can be converted into a three-way system by adding the Stadium GTO20M two-inch dome midrange model, providing an even more perfect tonal balance. Further rounding out JBL’s car audio offerings, the Stage 1200B slim subwoofer enclosure combines high efficiency with impressive power-handling for a rich, outstanding performance. The 12-inch woofer cone and large voice coil work together for remarkable realism, note-perfect accuracy and sustained bass response. The enclosure’s striking good looks are matched by its ease of installation. 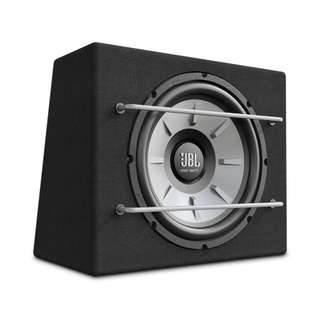 The Stage Subwoofer line completes JBL’s newest car audio additions. The JBL Stage Subwoofers are engineered to deliver high-output, low-distortion bass with power handling capability of up to 1000 watts peak power. Available in three sizes including 8-inch, 10-inch and 12-inch, each model ensures a fit for every size vehicle from compact to limousine. The subwoofer features lightweight yet stiff polypropylene woofer cones with hi-roll rubber surrounds to provide high-efficiency and super durability to best interface with a variety of amplifiers. JBL’s subwoofers and loudspeakers are individually tuned by world renowned transducer engineers to ensure the signature sound that is unmistakably JBL. The Stadium Speakers by JBL will be available for purchase this year November and pricing ranges from €99.99 to €279. The JBL Stage 1200B Enclosure is currently available and is priced at €129. The JBL Stage Subwoofers are currently available and pricing ranges from €59 to €129.